We’re partnering with Regester Chapel located 85 Bells Hill Rd., Stafford, VA 22554. The service will be held at 7:30 PM. Join us for worship at 7:00 AM Sunrise Service, 8:15, 9:45, 11:15 AM & 6:00 PM. On Sunday, April 14 we will celebrate the triumphant entry of Jesus into Jerusalem. This day is commonly called Palm Sunday because the city celebrated by waving palms as the Messiah entered the city. The irony of this day is that a week later these same people shouted out “Crucify him!” when Pontius Pilate offered to free him. 7:30 PM here at Ebenezer. 7:00 AM we will celebrate as a church the dawn of a new day in our lives and in this world at our Easter Sunrise service as we remember and give thanks to God for the resurrection of Jesus Christ. All of the despair, regret, and vulnerability is gone and the new life in Christ we so desperately need has arrived. I hope that you and your family will join us on this methodical journey toward Easter. That we would discover on the other side that Christianity is not a dead religion, but just as the first Methodists came to experience through their methodical process, that we are indeed a people filled with the love of Jesus Christ led by the power of the Holy Spirit. That’s what it means to be Methodist. More than that, this is what it means to be a follower of Jesus Christ! No registration needed to come to our services. 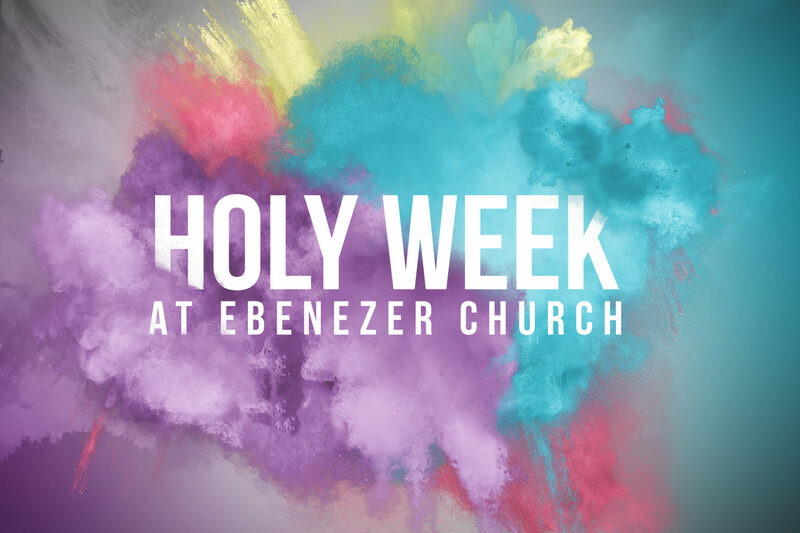 Come as you are and join us for worship this Holy Week.